Illona Hartman, born in Haarlem (The Netherlands), is a senior at Ohio University. 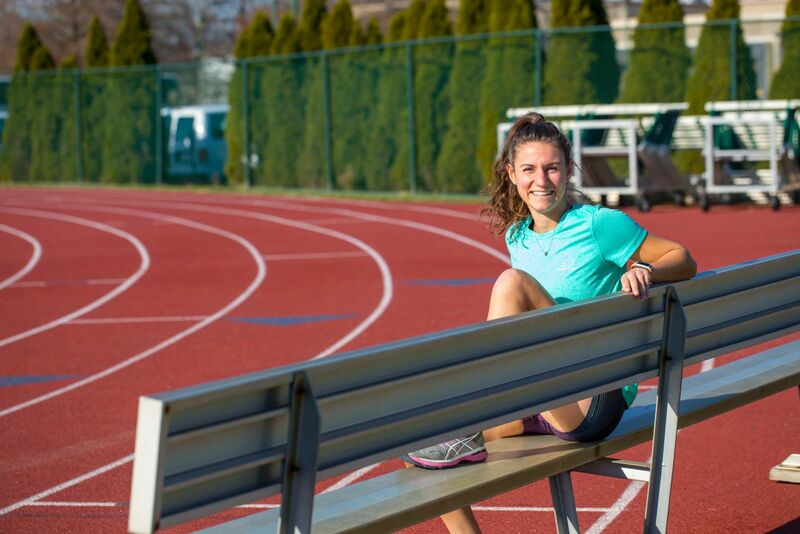 In the Summer of 2019 (June 16th - August 3rd), she will be traveling with a group of college-aged students on a 49 day, 4,000+ mile run from San Francisco (California) to Baltimore (Maryland) to raise funds and awareness for the Ulman Foundation. In September 2017, I saw an advertisement on social media about a “run across America” to fight cancer. 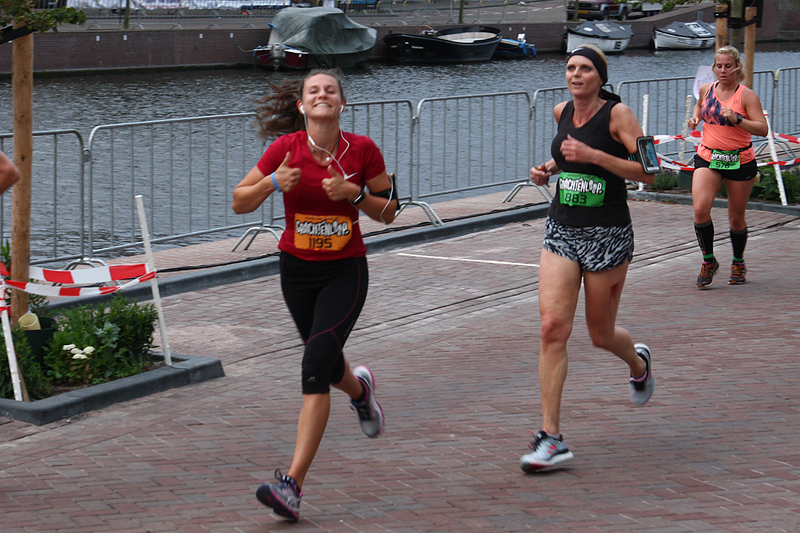 This “4K for cancer” run caught my eye so I started the application process. That summer, one of my coworkers at my Dutch internship was very involved in the cancer community and he introduced me to it. For example, I signed up to be a bone marrow donor in honor of his cousin who was going through treatment for leukemia. My coworker and his 10-year old son even biked from one side of the Netherlands towards the most Southern part of our country to raise money and awareness for cancer! I was so impressed by this fundraising event that I wanted to get more involved as well. Why are you traveling 4,000+ miles this summer with the Ulman Foundation? During the application process for the “4K for cancer” in October 2017, I heard the devastating news that my own family was about to face: My cousin’s baby of 6 months old was diagnosed with a rare kind of myeloid leukemia. Her name is Leighton Hailey van Leeuwen. After the news, a rollercoaster of events happened in a short amount of time. 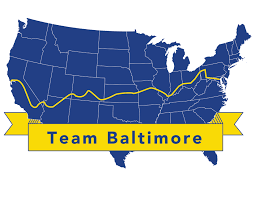 In the next six months, I got accepted in the 4K for Cancer with “Team Baltimore 2018”, I presented my cause to many organizations, I started online fundraisers (i.e. Yankee Candle, That’s My Pan), I traveled home to finally meet Leighton, I cut 25cm of my hair as a donation to a wig charity, I raised the minimum fundraising amount of $4500 for the Ulman Cancer Fund for Young Adults in less than three months, and I still organized three big fundraisers in Spring (i.e. Dutch Bake Sale, a Bone Marrow drive, Selling Valentine’s flowers, a Dopper Sale) with the help of many people and organizations at Ohio University. With those last fundraisers, I raised another $3000. In the meantime, Leighton got a bone marrow transplantation herself (transferring stem cells through blood from a donor) and things finally got better for her. My schoolwork and training for the run on top of three hours of daily field hockey practices was going well too; I was in the best shape of my life. It was in March 2018 when things started to go downhill. In this six month period, I had daily contact with my cousin and family at home, mostly over the messaging app “WhatsApp”. Two weeks after Leighton’s 1st birthday, they wanted to video call so I could see Leighton. She was not doing so well and things got worse real quick. Less than 24 hours after we hung up the phone, I got the devastating news that our little princess lost the battle with this terrible monster called cancer. This was the drop that made the cup fall: I will run for the people who cannot run (anymore) to give these strong fighters a face and hopefully the opportunity to run again and relive their lives in the near future! Thus, this "4K Run for Cancer" run will be a great opportunity for me to physically support my family at home (Amsterdam area, the Netherlands) and many others, all the way from Ohio in the United States. Because of my passion for a healthy lifestyle and fitness, I started running races during the Summer of 2017 on top of field hockey workouts. 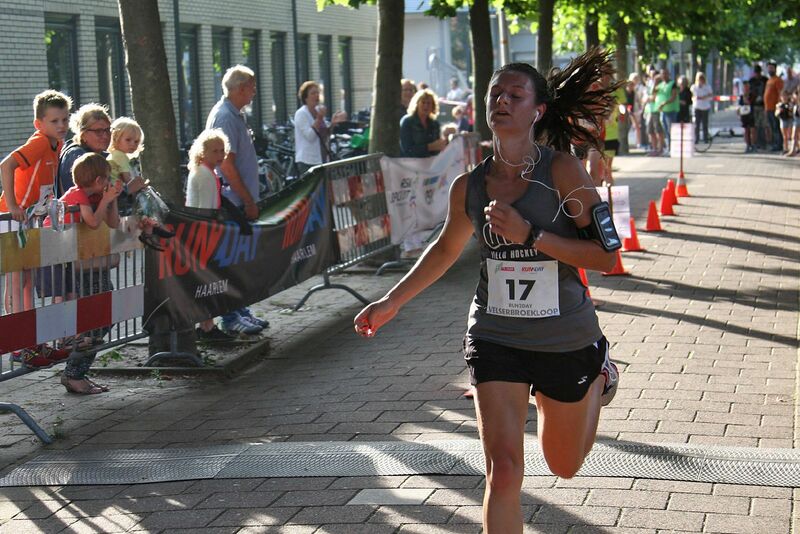 This was when I fell in love with running. I always played field hockey since I was 12 years old, but after 3 concussions in a span of 2.5 years - the most recent in March 2018 which required me to move the 4K run to June 2019 instead of 2018 - it will be a hard transition to get back on the turf this season. For this reason I received a medical disqualification status as of August 2018. However, this doesn't stop me from participating in the 4K for cancer 2019! Hopefully, I will be able to start running and working out again soon. This should bring me back in shape for the "4K for Cancer" and hopefully a competitive field hockey game in the (near) future. After all, it will still be an amazing opportunity for me to use my athletic abilities this summer to raise money for cancer, share Leighton's story, and help others while exploring the US after graduation. I am excited to share this journey with you! Any small donation will be a little baby step towards my $10,000 personal goal. Since I was supposed to run in 2018, I would like to raise twice the minimum amount of $4,500 before I start our run in the summer of 2019. During the run, I hope to raise another thousand to get to the magic 5 digits to help the 70,000 (five digits) of young adults who get diagnosed with cancer each year. Your generous donations therefore allow me to help American communities affected by cancer and to share the story of my little baby cousin Leighton Hailey. More current news and/or information on fundraising and sponsoring my run will follow in the next couple of weeks by the use of my new "4K for Cancer" Facebook, Twitter, and Instagram acount. Anonymous Friend 02/03/2019 $114.45 Dutch bake sale @Ohio University. Thanks everyone for participating & donating!! Maddie Sloat 07/18/2018 $20.00 You're an inspiration, Illona!! Keep fighting the good fight sister. Robin D'haene 05/20/2018 $25.00 Good luck Ilona!! Kelly Fernandez 05/02/2018 $25.00 Don't ever stop being the advocate that you are. Lisanne Manders 03/23/2018 $35.00 Proud of you, DUTCHIE! <3 You're gonna rock this! Tina Kongkeo 02/09/2018 $20.00 Your courage and efforts are so empowering! Good luck on your run for this amazing cause! Illona Hartman 01/25/2018 $284.71 Big thanks to my coed professional engineering fraternity Theta Tau and its brothers for hosting the DUTCH BAKE SALE and BMT DRIVE with me and the Russ College of Engineering and Technology. Also a big thank you to all students and professors who donated during the sale & drive. Anonymous Friend 01/09/2018 $100.00 Make it happen Illona!!!!! Alexander Shambrock 12/30/2017 $30.00 Merry Christmas Illona! Noah Rich 12/26/2017 $100.00 Cheering you on from afar, Illona. Proud to call you a friend of mine. Dale Masel 11/30/2017 $50.00 Good luck on your run! Anonymous Friend 11/28/2017 $150.00 Illona, we praise God Almighty for people like yourself - dedicating your heart and body to a cause such as this cancer drive! Will keep you in our prayers as you run across the US. Samara Schratz 11/27/2017 $20.00 Go Ohio Field Hockey Bobcat! Bertrand Neyhouse 11/21/2017 $100.00 Your motivation and love for this cause is truly inspiring. I'm donating partially for your great cause and partially for you to be able to run through and see this beautiful country. You'll be blown away. Happy belated birthday! Jonathan Crowe 11/20/2017 $25.00 Illona I'm very proud of you and so happy you accepted this wonderful opportunity! You're gonna do great things! Victoria Neyhouse 11/20/2017 $50.00 Good luck! Dylan Denner 11/15/2017 $500.00 From Tau Beta Pi... best of luck! We are here for you! Joëlla Meijer 11/02/2017 $25.00 I am sooooo proud of you, Sis!!! You are an incredible and wonderful person. Everyone is very lucky to have to as a friend or family. You go girl! Lydia Ramlo 10/29/2017 $25.00 I am so proud of you! You are absolutely amazing, and I am so grateful to be your friend. Your cousin will be in my thoughts and prayers! Jessie Morrow 10/29/2017 $75.00 I'm so proud to have a friend with such ambition and a pure, kind heart! GOOD LUCK! Ian Klein 10/24/2017 $50.00 Good luck Illona!